Small groups of 8 students. Lessons are 1 1/2 hours long and include instruction and supervised games. Judge early where the ball is going and when to hit the ball or and when to let it go. Handling hard drives at the net. Developing your patience and knowing when to go for the winner. Understanding player movement during the point. Bring water bottle, towel, clean court shoes and prepare to have lots of FUN! 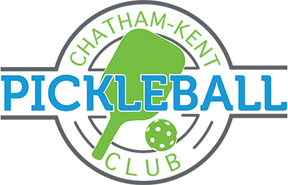 CHATHAM-KENT PICKLEBALL CLUB 2019 MEMBERS RECEIVE A 50% DISCOUNT ON LESSONS. Cost for this event does NOT include admittance to the HealthPlex. If not a member of the HealthPlex you must use a HealthPlex racquet sports card or purchase a day pass each week. New visitors to the HealthPlex can receive three free visits. Stop by the reception desk for details. Tours of the HealthPlex are available.